Dr. Karl Ruegg is a world class marketing strategist for small-business growth. He provides entrepreneurs with customized solutions they need to grow their small businesses, including interactive coaching, resources and total online support. 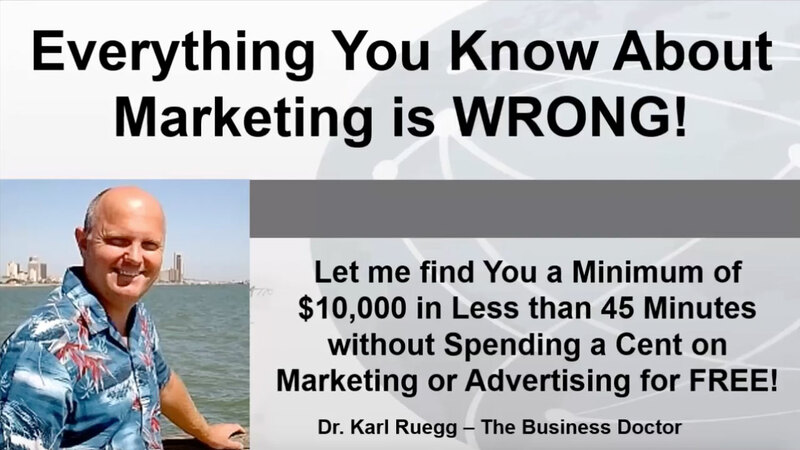 Dr. Karl Ruegg combines the latest research in both online and offline marketing with proven and tested strategies to give every small-business owner the best chance for achieving success. Dr. Karl Ruegg is based in Livingston, TX and offers his marketing strategies and assistance worldwide.